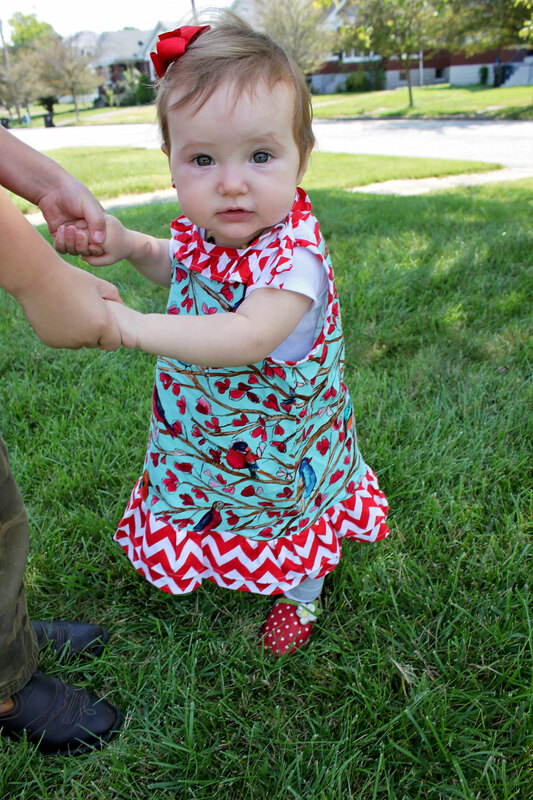 The baby turned 1! 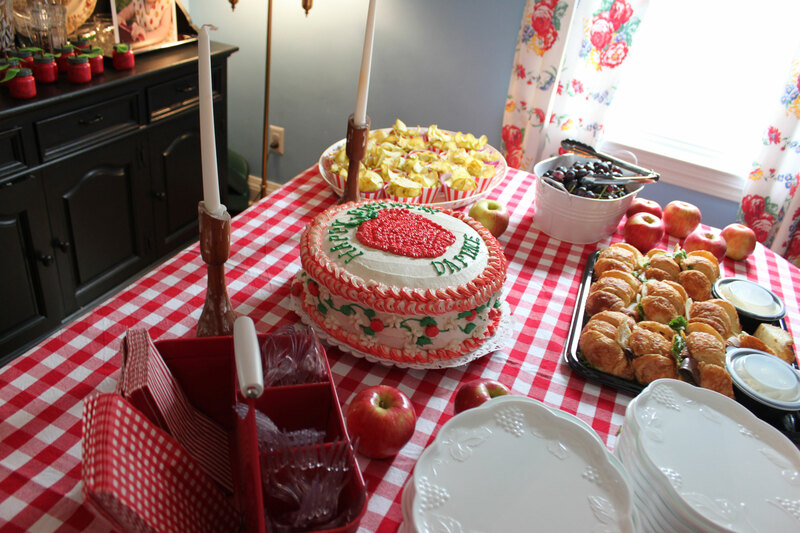 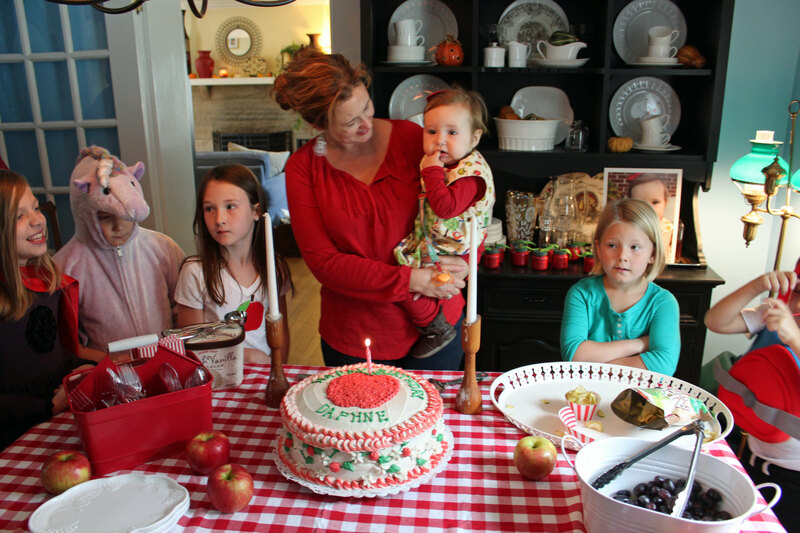 Her apple birthday party was on a beautiful fall day, and Daphne heartily approved of the cake her Nana made. 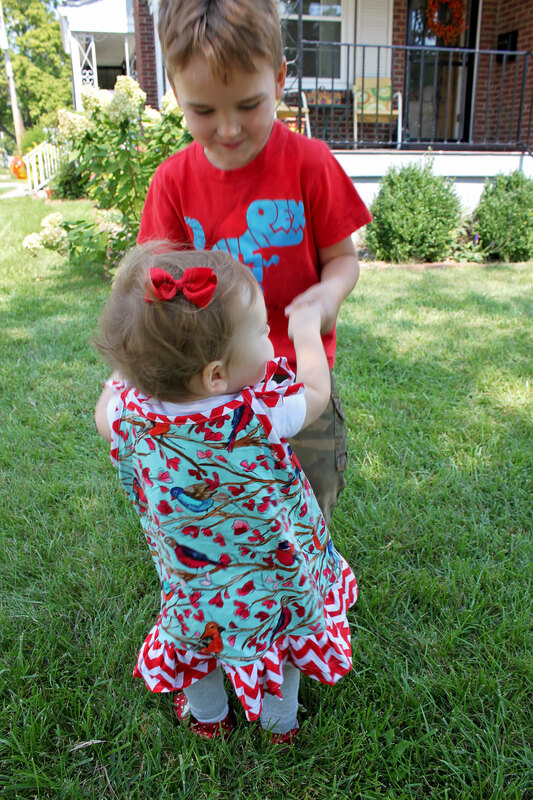 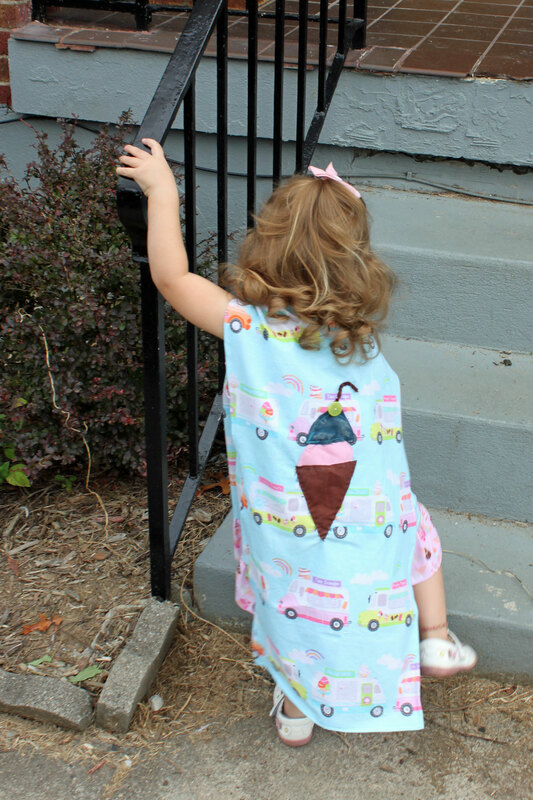 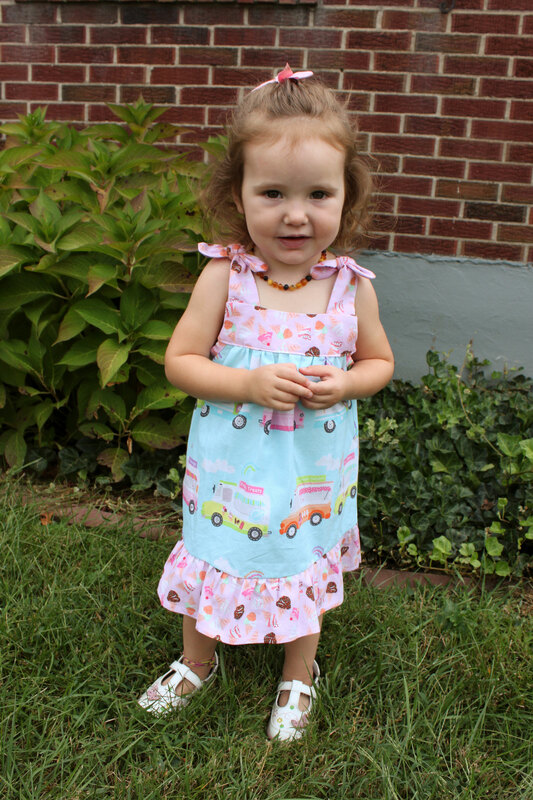 I made her dress from an Anna Maria Horner pattern in the book Handmade Beginnings. 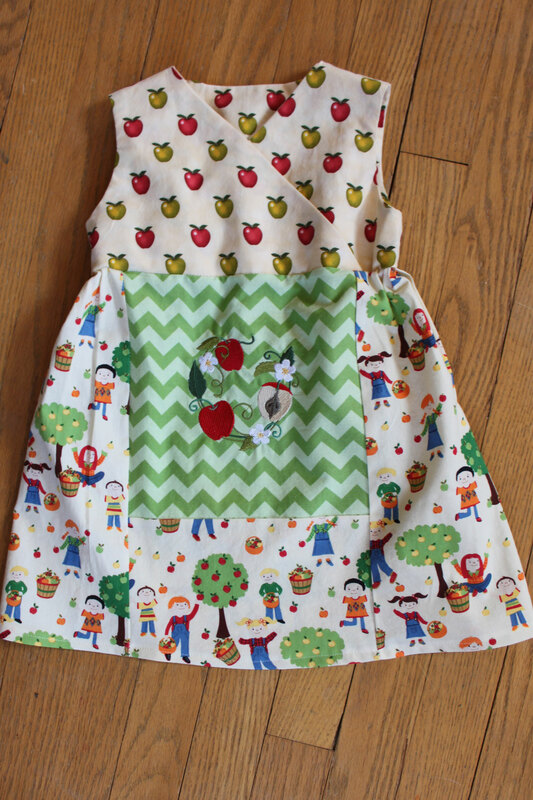 The skirt fabric is Timeless Treasures Kids Apple Orchard, and I bought the embroidery pattern for the front panel from here. 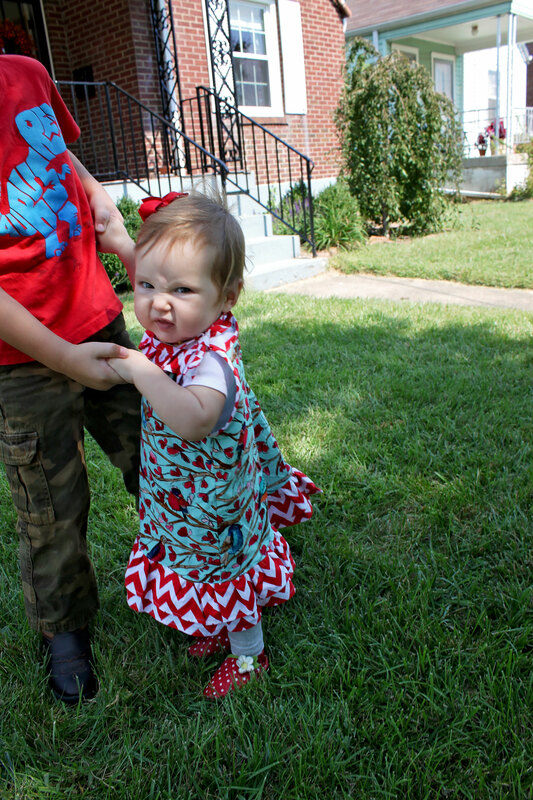 The dress was sweet by itself, and over a red Kickee Pants union suit to make it warmer on the “crisp” (pun intended) day of her actual party. 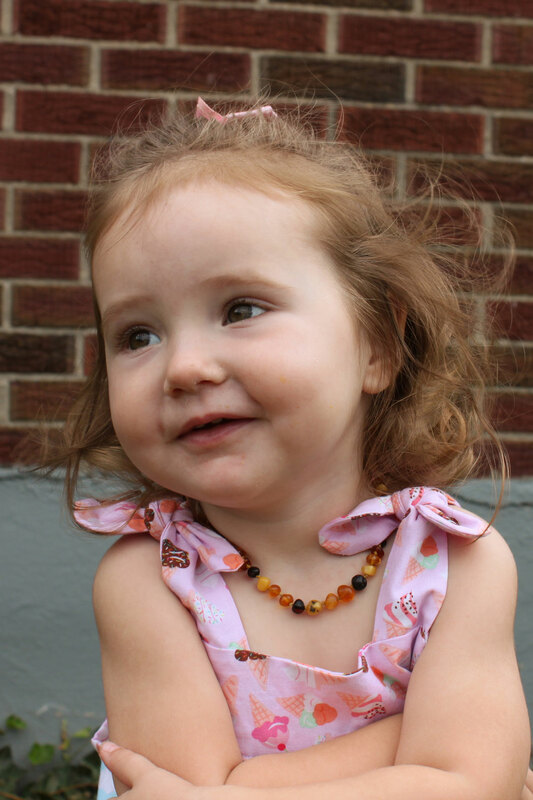 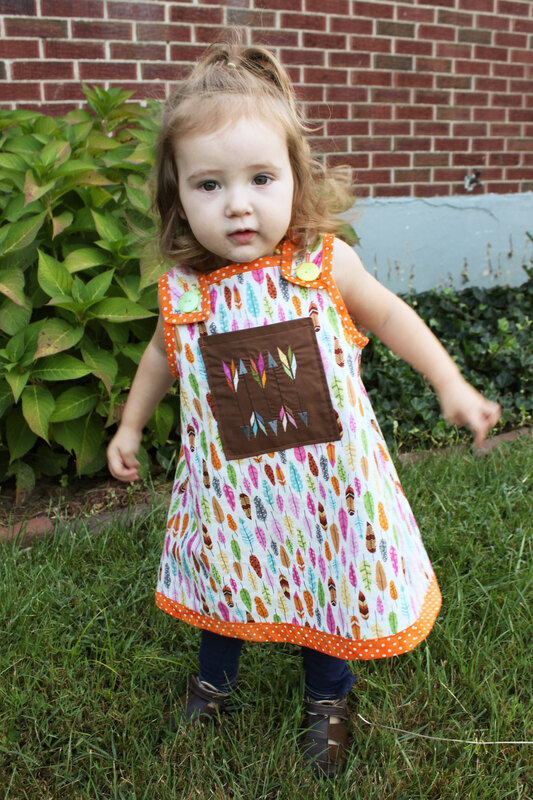 I love fall colors on this baby, and I plan to enjoy this dress on her long after the leftover cake is gone. 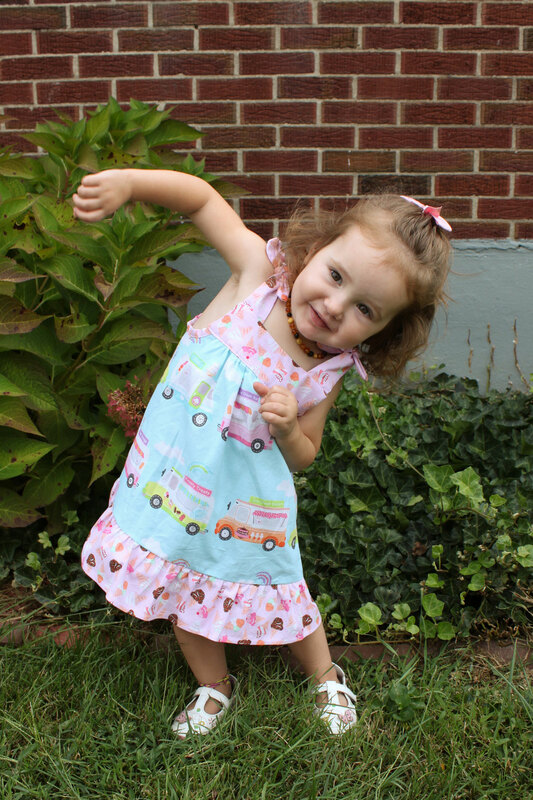 This was the next installment in the Dresses for Daphne Before She Can Decline series. 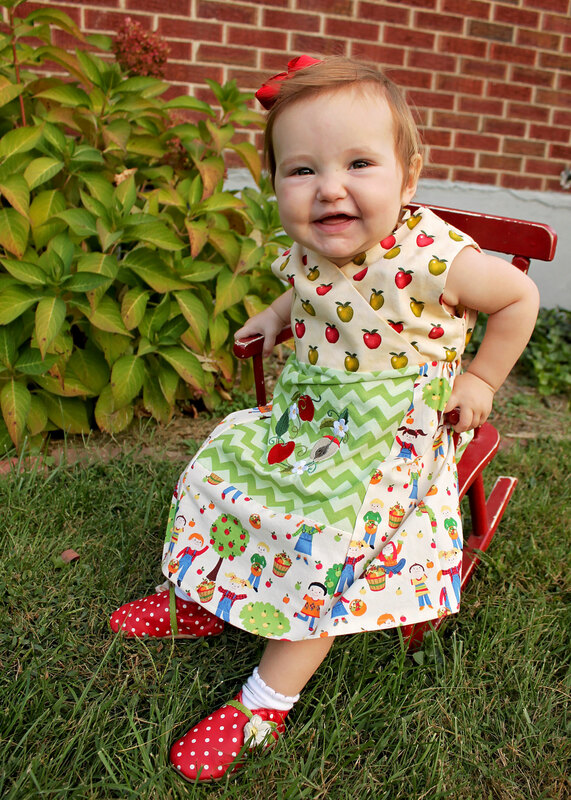 I love bird prints for her things since I made her baby bedding, mobile, and many of her bibs from bird prints. 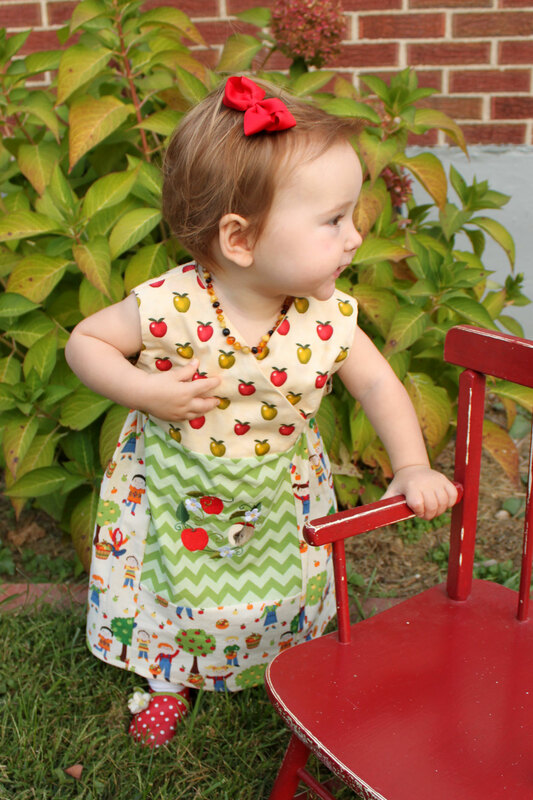 This print is Michael Miller’s Garden Walk Wing Song, accented with some bright red chevrons. 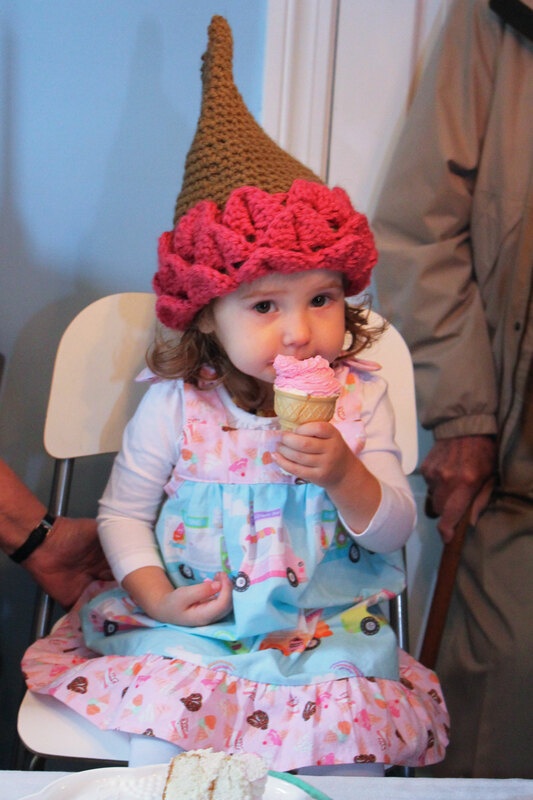 The pattern is one I used before in a smaller size, from Making Baby’s Clothes, and I did my own things with the ruffles. 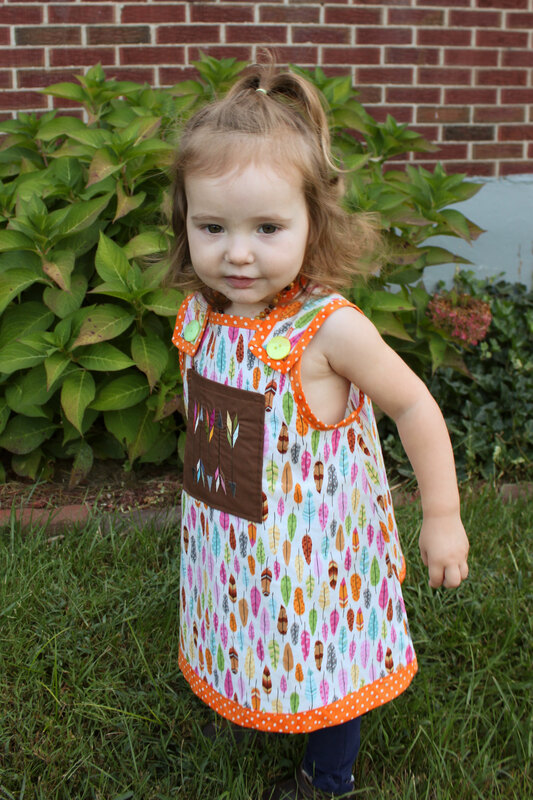 With my two-tiered ruffle on the bottom it’s just a wee bit long on her now, but with the loose fit she may be able to wear it over a red bodysuit this winter and as a cute sun dress in the spring too.